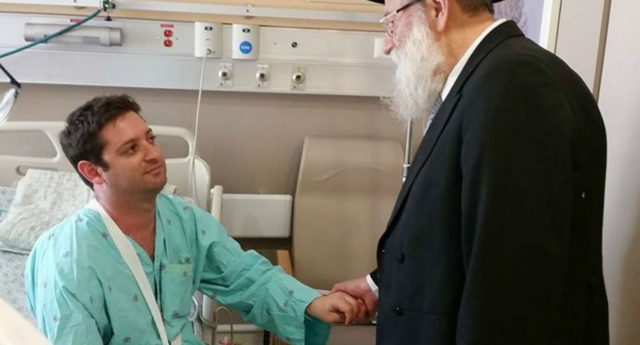 Chief Rabbi Aryeh Stern visited victims of the city’s Pride parade attack in hospital on Friday. 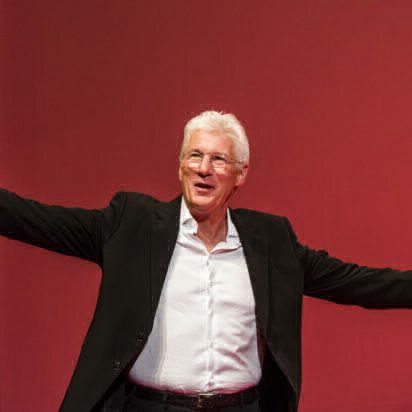 Rabbi Stern posted photographs of the visit on his Hebrew Facebook page – and many have been moved by one image in particular, reports The Tablet. In it, the ultra-Orthodox cleric – in his full rabbinic dress – is seen holding the hand of a victim of Thursday’s attack, which left six wounded – including a sixteen-year-old girl who is currently in critical condition. The alleged assailant, Yishai Schlissel, also an ultra-Orthodox Jew, was released three weeks ago after serving 10 years in prison for stabbing four people at the same parade in 2005. “The person that committed this sinful act is a criminal in every way, and his intention to kill Jews is something which is terrifying,” Stern told The Jerusalem Post. A spokesperson for Stern said of the visit: “The rabbi told [the victim] that Judaism and bloodshed are mutually exclusive. “The Torah of the Jewish people forbids all violence and [efforts to] injure any person, and especially someone who tries to kill another person,” said Lau. “It’s unthinkable that a man can lift up his hand against another Jewish soul in the name of religion,” said Yosef. Prime Minister Benjamin Netanyahu addressed the nation shortly after the attack, promising Israelis that justice will be done. “It is up to us to make sure that every man and woman can live in safety at all times in every way that they choose to live. Last night (August 1), a number of leaders from both sides of the political and religious spectrum took part in a mass peace rally across the city. Organisers of the march said that they wanted to show that violence will not “silence them in their quest for unity and equality” in Jerusalem.